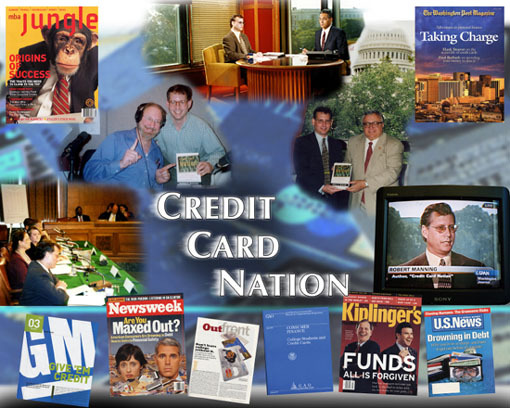 "Credit Card Card Crisis: Systemic Crisis, Lax Regulation, or Bankruptcy Business Model," National Association of Attorneys General (NAAG) Consumer Protection Conference, Washington, D.C., May 4, 2009. "The Foreclosure Crisis in Michigan: Policy Recommendations and an Innovative Shared Equity Appreciation Approach," Michigan Credit Union League, Government Affairs Conference, April 29, 2009. The Foreclosure Crisis in Michigan: Negative Home Equity and the Promise of Shared Equity Appreciation (SEA) Mortgage Modifications," Michigan State Senate Banking Committee, April 28, 2009. "RESPONSIBLE DEBT RELIEF: Innovative Alternatives to Consumer Debt Capacity and Repayment Capability, Recovery Roundtable, Orlando, Florida, April, 22, 2009. Invited panelist; Meeting of the National Association of Attorneys' General, Washington, DC, March 3, 2009. "Responsible Debt Relief: A Balanced Creditor-Consumer Debt Recovery System for the Challenges of the Consumer-Led Recession" 3rd Annual Bass & Associates Executive Summit, Tucson, Arizona, February 27, 2009. "Combating the Challenges of Financial Readiness: The Opportunities for Responsible Debt Relief" Defense Credit Union Council's Roundtable Workshop, Washington, D.C., February 22, 2009. "Responsible Debt Relief: Algorithmic Assessment of Household Debt Capacity and Repayment Capability: The Risks and Rewards to Financial Institutions" National Credit Union Administration's 2009 Risk Mitigation Summit, Federal Reserve Bank of Atlanta, February 19, 2009. Regional Debt Summit, Pittsford, NY, February 13, 2009. Michigan State Senate Banking committee: Keeping People in Their Homes: Policy Recommendations for the Foreclosure Crisis in Michigan, February 11, 2009. "Combating the Challenges of Financial Readiness" Department of Defense Financial Readiness Campaign. Lackland Airforce Base, San Antonio, Texas. December 10, 2008. "In Debt We Trust: The Subprime Lending Crisis, the 'Consumer-Led' Recession, and the Imperative of Responsible Debt Relief" California and Nevada Credit Union Leagues, 2008 Annual Meeting and Convention, San Francisco, CA, November 7, 2008. Keynote Address, "The Subprime Lending Crisis, the Consumer-Led Recession, & the Imperative of Responsible Debt Relief," Financial Services Collection Conference, Las Vegas, Nevada, October 22, 2008. Expert Testimony, "Banking Deregulation, "Double Financial Bubble," and Growth of the Near Bankrupt: The Imperative of Consumer Debt Relief," Consumer Protection and Debt Settlement Industry, U.S. Federal Trade Commission, Washington, D.C., September 25, 2008. "Housing Market Collapse and the 2008 Consumer-Led Recession: The Imperative of Responsible Debt Relief," California Mortgage Brokers Association, Los Angeles, California, September 10, 2008. "Banking Deregulation and the 2008 Consumer-Led Recession: The Imperative of Responsible Debt Relief," Credit and Collection Grantor Consortium, Wilmington, Delaware, August 20, 2008. Luncheon Address, "Banking Deregulation, Subpime Lending Crisis, and U.S. Consumer-Led Recession: Institutional Responsibility and the Imperative of Household Debt Relief," Monroe County Bar Association Subprime Mortgage Crisis Education Program, Rochester, New York, July 2008. Featured Speaker, "IN DEBT WE TRUST: Subprime Lending Crisis, Double Financial Bubble, and U.S. Consumer-Led Recession," CUNA America's Credit Union Conference & Expo, New York City, N.Y., June 30, 2008. Featured Speaker, "In Debt We Trust: From Monopoly to Mall Madness in the Credit Card Nation," Credit Union Executive Staff Annual Convention, Cancun, Mexico, June 24, 2008. Featured Speaker, "In Debt We Trust: From Monopoly to Mall Madness in the Credit Card Nation," CUNA Mutual Group Discovery Conference, Hollywood, FL, June 20, 2008. Keynote Address, "Navigating the 2008 Recession: Prospects for A Consumer-Led Recovery," Upstate New York Financial Planning Association Annual Educational Symposium, Rochester, New York, June 2008. Featured Address, "IN DEBT WE TRUST? Banking Deregulation, Bankruptcy Reform, and the Consumer-Led Recession," 2008 Sixth Circuit Judicial Conference, Bankruptcy Session, Chattanooga, TN, May 9, 2008. Fischer Institute Memorial Symposium, "In Debt We Trust: The Crisis of Debt in America," Nichols College, Dudley, MA, April 21, 2008. View article. Keynote Address, "U.S. Banking Deregulation and the Consumer-Led Recession: The Rise of the 'Near Bankrupt' and The Imperative of Responsible Debt Relief," annual Credit and Collections News conference, Palm Desert, CA, April 3, 2008. Keynote Address, "Banking Deregulation, Plastic Money, and Higher Education: The Political Economy of Consumer Debt," Graduate Student Research Conference, SUNY-Binghamton, New York, March 18, 2008. Featured Address, "In Debt We Trust? U.S. Banking Deregulation, Soaring Household Debt, and the Impending Consumer-Led Recession," International conference on "Credit and Debt in Present Day Capitalism," University of Manchester, England, March 14, 2008.